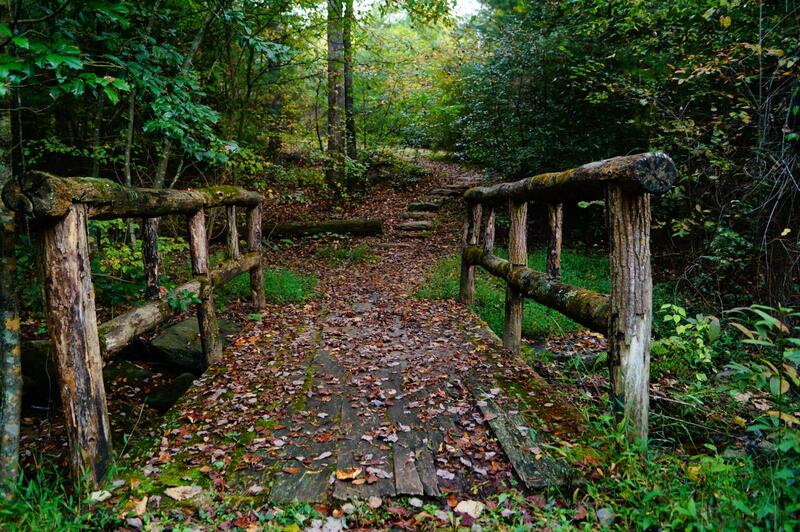 Biltmore Park is a 735 acre tract located in southern Buncombe County, North Carolina, between Asheville and Hendersonville in the French Broad River Valley. There are a total of 580 homes in the community. The neighborhood is a mixed-use community, with residential homes and townhomes adjacent to commercial, retail, and recreational components. The plan provides for a variety of housing options in neighborhoods modeled on traditional historic patterns. 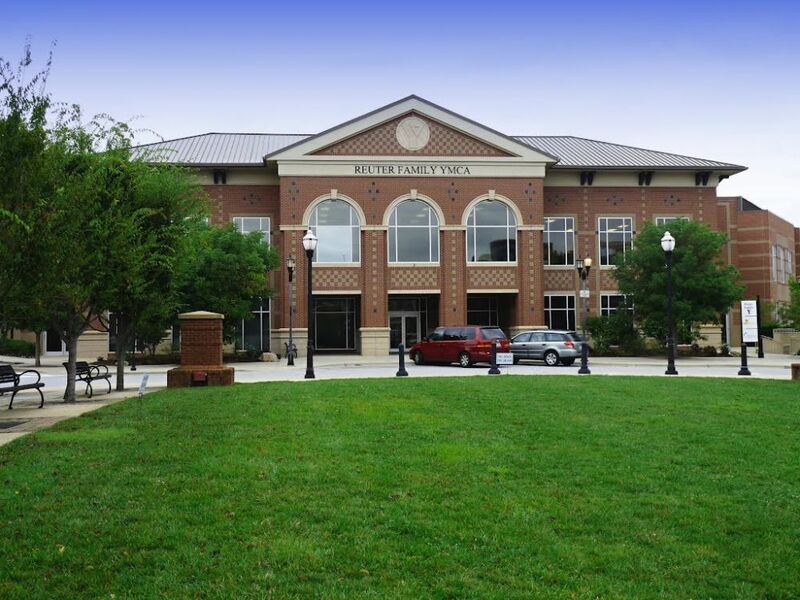 Central to the concept for Biltmore Park is the idea of a town center and neighborhoods, the larger community made up of smaller, neighborhood-scale units, with focal points and gathering places at both the community and neighborhood levels. 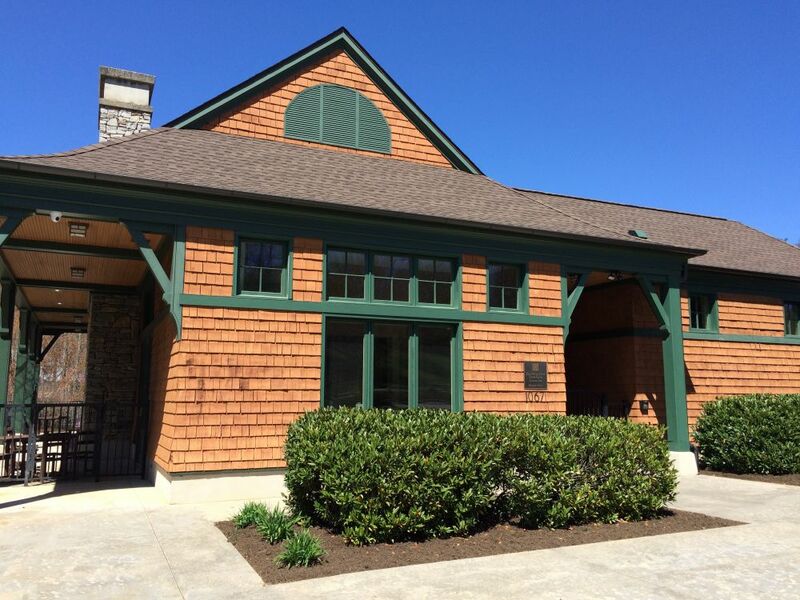 Important to the overall plan are common areas, a variety of open spaces linked by a greenway trail system, which provides non-vehicular connections throughout the community. This video, produced by a local real estate firm, provides a nice overview of the neighborhood and it's amenities. tables and chairs, and rest room facilities. 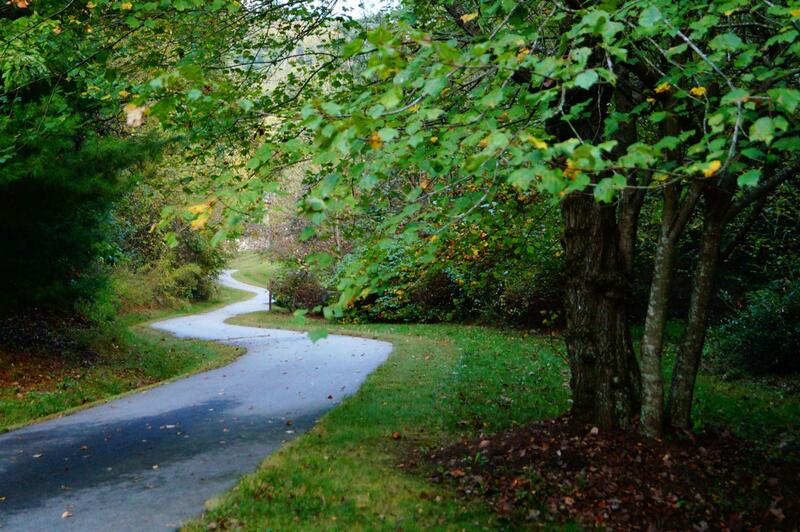 Biltmore Park features an extensive network of paved trails for walkers, joggers, and cyclists. views and meet neighbors and friends. 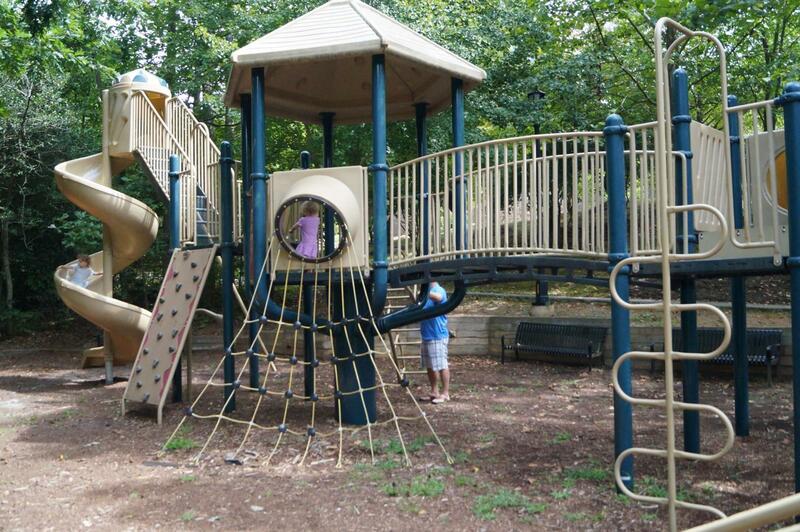 A playground is available for the children near the pool and clubhouse. 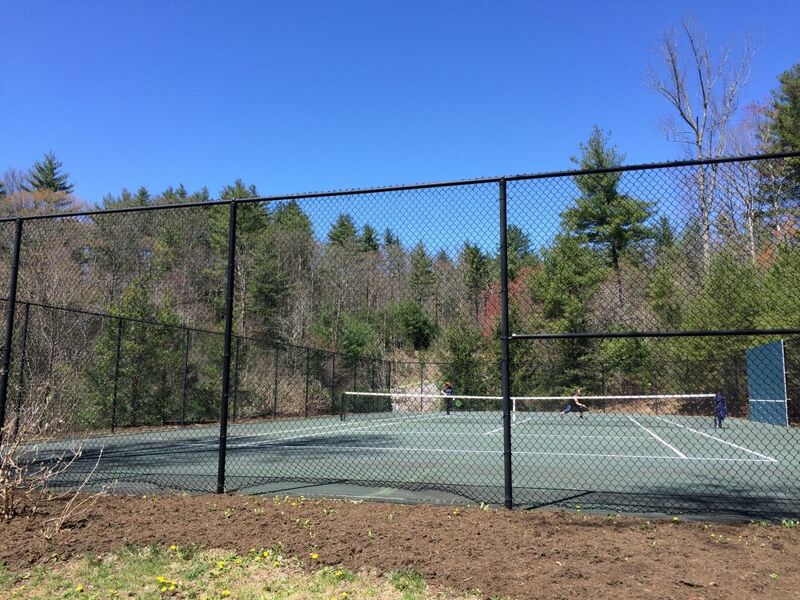 A secluded full size tennis court is available for all residents. 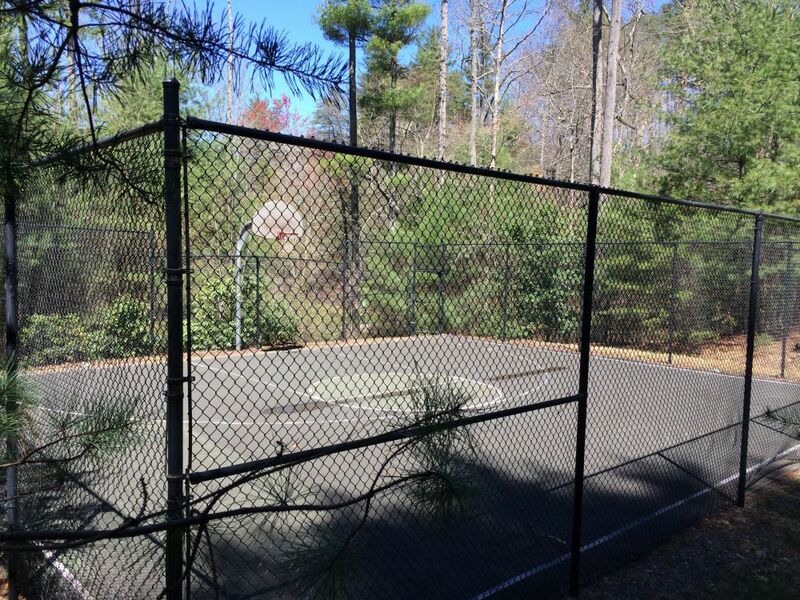 Stay in shape with this fenced, half court basketball court, located next to the tennis court. 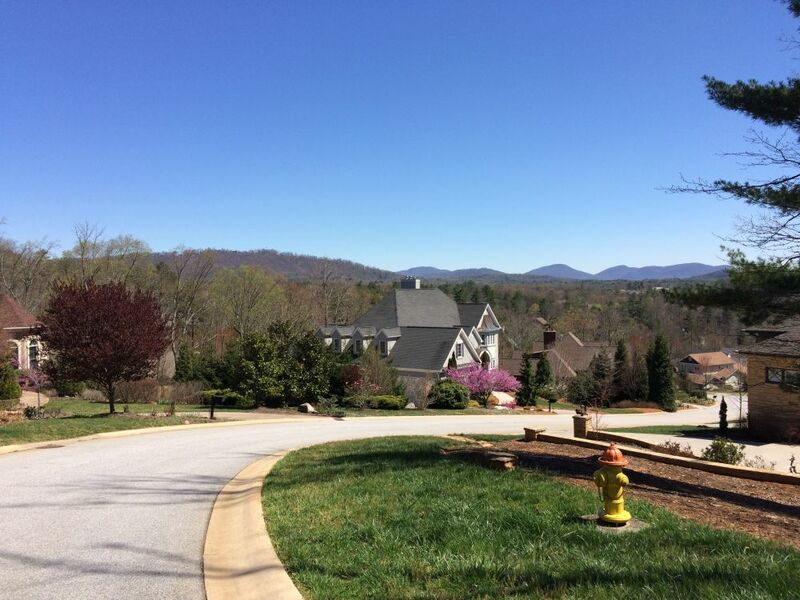 Mountain views abound throughout the neighborhood. 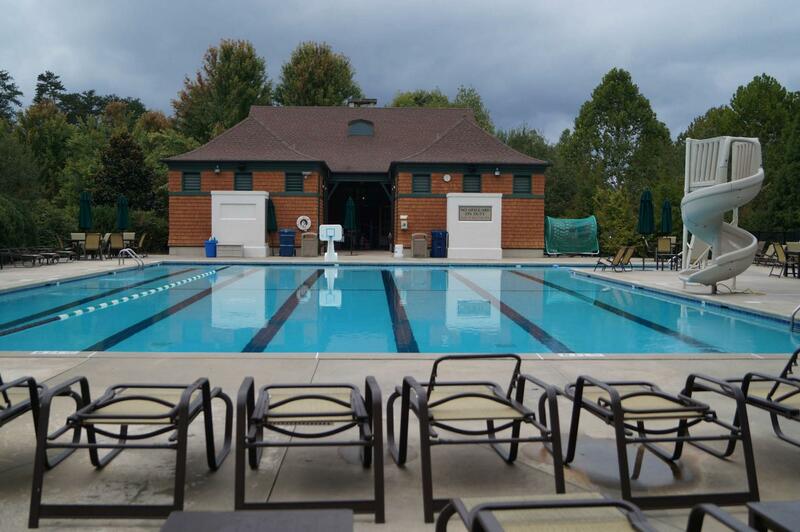 pool, basketball court, running track, climbing wall, and numerous other recreational facilities.